Did you just sign up to ViralinBox and would like to get started quickly? Follow this 5-step plan and you will get started in no time! If you don’t have a ViralinBox account yet, click here to sign up now. Make sure you take the time to read the one-time offer because if you take it you will be able to email your offers to other ViralinBox members right away! First, here is a video that will help you understand how the program works and how to get started easily. The video is about 20 minutes long but is definitely worth watching in full! You will learn about the main features of ViralinBox, and how you can navigate throughout your account. Now let’s take a closer look at some of the mailbox features. With this video, you will learn how to use the Search, Select and Filter functions. This video is only 5 minutes long but it will help you master some of the basics of the ViralinBox mailbox so make sure you watch it in full. If you want to promote and make money with ViralinBox, then you should check out this blog post: ViralinBox Affiliate Program & Promotional Tools, which covers pretty much everything you need to know to get started as a ViralinBox affiliate. As a reminder, Silver (Free) Members earn up to 40% commissions, Platinum Members up to 50% commissions, and Diamond Members up to 55% commissions. 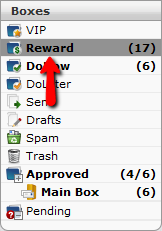 Step 4 – Start Reading Reward Mails & Earn Credits! You should also start reading Reward mails (in your ‘Reward’ box) to earn credits that you can then use to email other ViralinBox members. The more Reward mails you read, the more credits you receive! To use the mailer, click the ‘Mailer’ link in the ViB Menu on the right side on your dashboard. As a Silver (Free) Member, you can send up to 250 emails at a time, as a Platinum Member up to 2,000 at a time, and as a Diamond Member up to 4,000 at a time! Remember, if you upgrade to Platinum you will receive 1,000 Mailing Credits every day, and if you upgrade to Diamond 2,000 Mailing Credits every day! Step 5 – Start Using ViralinBox as Your Main Solution! Now you’re all set up you can start using ViralinBox as your main email and marketing solution! For example next time you join a list, make sure you use a ViralinBox email address… Using ViralinBox every day will make you earn credits that you can then use to send and show your offers to other ViralinBox members! That’s free exposure for you and your business, for doing something you already do every day (like reading your emails, etc.)! 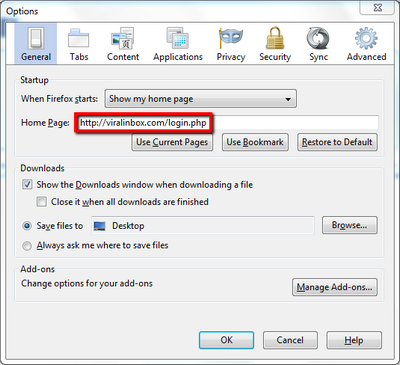 Final Tip: Before you close this window, make sure you save the ViralinBox login page (viralinbox.com/login.php) as your default browser homepage and/or save it in your Bookmarks Toolbar for quick and easy access! To save the ViralinBox login page as your default browser homepage, in Firefox click ‘Tools’ and ‘Options’. 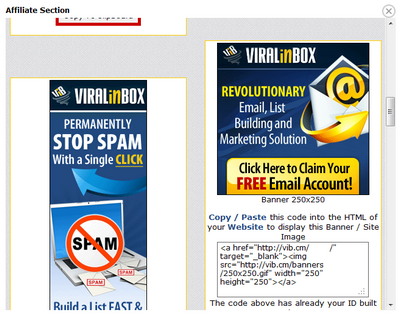 In the ‘General’ tab, enter viralinbox.com/login.php in the ‘Home Page’ field and click ‘OK’. To add ViralinBox to your Bookmarks Toolbar, visit viralinbox.com/login.php and simply drag the tab to your Bookmarks Toolbar. If your Bookmarks Toolbar is turned off, you may turn it on by right clicking the Firefox menu and clicking ‘Bookmarks Toolbar’. ViralinBox is one of the HOTTEST products on the digital market right now… and this is YOUR chance to promote a unique, revolutionary email solution and make high commissions on every upgraded referral you make! Even as a Silver (Free) Member of ViralinBox, you can make some nice commissions, but if you’re serious about making money with this affiliate program, then you MUST upgrade to Platinum or Diamond! Remember, as a Silver (Free) Member, you earn up to 40% commissions, as a Platinum Member, you can earn up to 50% commissions, and as a Diamond Member you can earn up to 55% commissions! Imagine you’re a Platinum, and you refer a couple of Platinum Members who took the one-time offer at sign up. That’s $197 in YOUR pocket! Now imagine you make a few of these referrals every few days… How much money could you make over a week or month? For example if you want to send an email to your list to tell your subscribers about ViralinBox, click ‘Email Copy’ in the list of promotional tools. You will find plenty of email copies that you can use and even resources so you can send emails to other lists and reach even more potential leads! Feel free to edit the email copies as much as you want but remember that your affiliate link is already integrated. If you don’t have a list but want to send a few emails to lock in referrals, we highly recommend that you sign up to ViralURL, ViralHosts, State-of-The-Art Mailer, ListJoe and TheListAuction. Make sure you also check out all other sites listed in the ‘Affiliate Section’. If you want to add a banner ad to your site or blog, click ‘Banners’ in the list of promotional tools. You will find a lot of ready-to-use banner ads (in a lot of different formats). Like with email copies, your affiliate link is already built in, which means that you don’t need to add it yourself. All you need to do is to copy the banner ad code and paste it in the code of your site or blog. For example in WordPress if you want to add a banner ad in your sidebar, create a new ‘Text’ widget (under ‘Appearance’, ‘Widgets’), paste the banner ad code, click ‘Save’ and… that’s it! If you have suggestions, feel free to leave a comment below!